Multiple Programs available for those with a valid CDL-A. Choose your experience below to see what's available. JBS Carriers partner with many reputable schools across the country to ensure that you receive the education and training you need to be successful. Provided that you are hired by JBS Carriers directly after receiving a CDL from a Company-approved school, we will reimburse your tuition - in accordance with our Tuition Reimbursement Program. For more information on this program, please speak with a Recruiter. JBS Carriers requires all new drivers to complete a minimum of 160 hours from a Company-approved CDL School. An applicant considered for this program would have 0-3 months of experience. JBS Carriers requires all new drivers to have completed a minimum of 160 hours through an approved CDL School. Click here for list of approved schools. Once you have completed orientation you will be assigned to a Mentor. You may be assigned to a Mentor who does not work in the fleet you will be assigned to once training is over. Mentors are assigned based on availability not by fleet. Training is 6-8 weeks during which time you will be compensated in accordance with our Trainee Program standards. Upon connecting with your Mentor, you will most likely be observing and then progress into driving with your Mentor alongside you for monitoring and guidance, teaching you our processes, and helping you to learn the ins and outs of the position. Once you have graduated from the training program you will then be assigned a Driver Manager and your own truck. Depending on the fleet you will be working in, most drivers are assigned their own truck, some fleets slip-seat due to shift work. An applicant considered for this program would have more than 3 months of experience but less than 6 months, has graduated from a Company-approved CDL School within the last 180 days, OR having graduated more than 180 days ago, the applicant would be required to have recently completed a refresher course through a Company-approved CDL School. Our Mentor program is much like our trainee program only the time in which you are required to be with a Mentor is typically 4 to 6 weeks. An applicant considered for this program would have more than 6 months of experience but less than 12 months, must have school or driving experience in the previous 365 days, or has recently completed a 40-hour refresher course from a Company-approved CDL School. Our Mentor Refresher Program is typically 2 to 4 weeks. However, if the applicant has previous driving experience in like equipment, (between 3 and 10 years) we may not require recent schooling or a 40 hour refresher course. 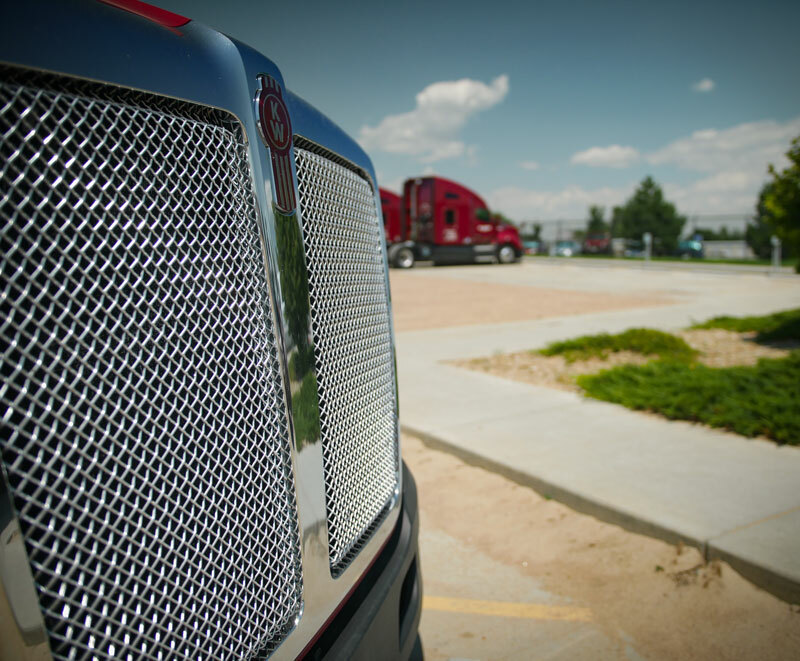 As the transportation arm of the world's leading meat processor, our truck drivers help feed America and enjoy the strength that comes with it. Do you provide CDL Training? JBS Carriers partners with many reputable schools across the country to ensure that you receive the education and training you need to be successful. For a full listing of Company-approved CDL schools, click here. Do you pay for students to get their CDL? Provided that you are hired by JBS Carriers directly after receiving a CDL from a Company-approved CDL school, we will reimburse your tuition - in accordance with our Tuition Reimbursement Program. For more information on this program, please speak with a Recruiter. Do you accept recent graduates from CDL School? I have some experience but not a full year. Can you hire me? Anyone with less than 12 full months of like experience would be required to have completed a minimum of 160 hours from a Company-approved CDL School within the last 12 months. All drivers with less than 12 full months of schooling are required to partner with a mentor for a defined period of time, determined by how many actual months of experience they have. Do you pay for training? Trainees are paid weekly while in the training program. For more information regarding the training program, please contact the Recruiting Department. Drivers are paid every Friday. Do you have manual trucks or automatics? The majority of our trucks are automatic. JBS Carriers does have a few manual trucks in select fleets. Do you hire Owner Operators or have lease options available? JBS Carriers is proud to assign our employees with our top-of-the-line trucks, which are maintained at the highest of quality standards. What is home time like? JBS Carriers operates local, dedicated, and regional fleets. As such, your home time may vary. For specific information on home time, a JBS Carriers Recruiter is prepared to speak with you today! This will depend on your assigned fleet. Generally speaking, local drivers do not take their trucks home. Regional and Dedicated drivers typically do. Do you have a rider policy? Yes. After 90 days of employment you may request to have a rider with you in accordance with the JBS Carriers policy and procedure. After 60 days of employment you will be eligible to be receive a competitive and favorable benefits package. We provide medical, prescription, dental, vision, short term disability, life insurance, 401(k) and paid vacation time. In addition, the Company offers several supplemental policies. How much vacation time do you offer? Vacation is accrued on an annual basis. Vacation pay is figured based on your previous 52-week yearly earnings, which is calculated to a daily rate and then multiplied by your vacation entitlement. Active employees will receive their vacation eligibility on the pay period following their anniversary date. Do I get paid for orientation? Yes - Once you have successfully completed orientation you will receive compensation prior to being dispatched. How long is orientation and how do I get there? Orientation is 3.5 days and may be held in one of our various terminal locations. We provide transportation, lodging, breakfast, and lunch for each day of orientation. For more information regarding orientation, please contact our Recruiting Department. The Form I-9 is a part of the orientation process and the Company participates in E-Verify. Click here for a list of acceptable forms of identification. In addition, you will need to provide a valid Class A CDL. A voided check from your bank for direct deposit or something printed from the bank showing the routing and account number. We cannot accept handwritten information. For more information on other items that may be useful during orientation, please contact a JBS Carriers Recruiter today! What type of drug screen do you require? A Department of Transportation physical & urine analysis will be required post-offer and pre-employment. Step 1: Share JBS Carriers opportunities with fellow drivers. Step 3: Earn Money! $2,000 total after 9 months! You will earn $500 after 3 months, another $1,000 after 6 months and another $500 after 9 months of the referred driver being employed by us. What are you requesting information for? Contact us today, call, email or send a message, we will get back to you shortly.